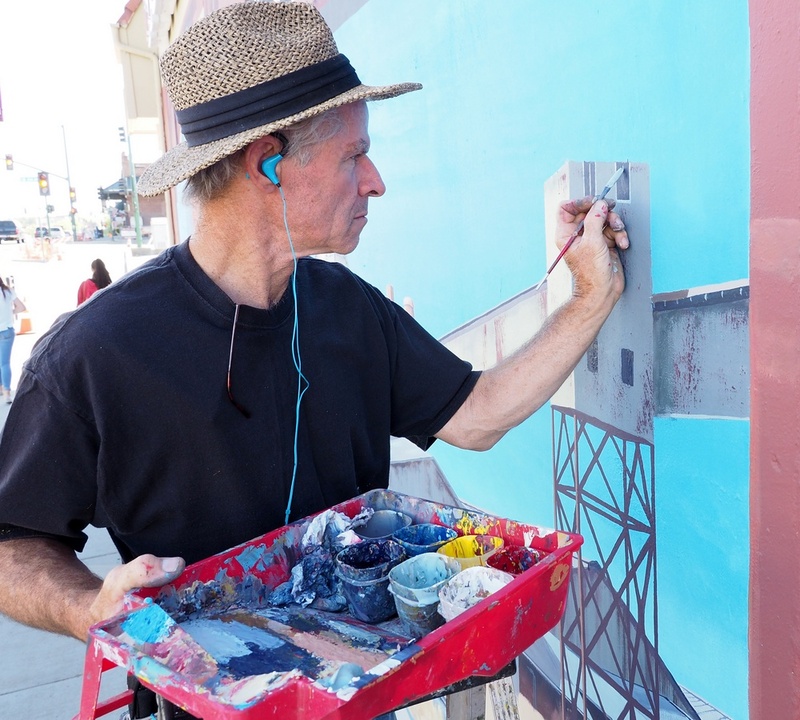 Dennis Mortensen paints details on the mural project on Lincoln Blvd. 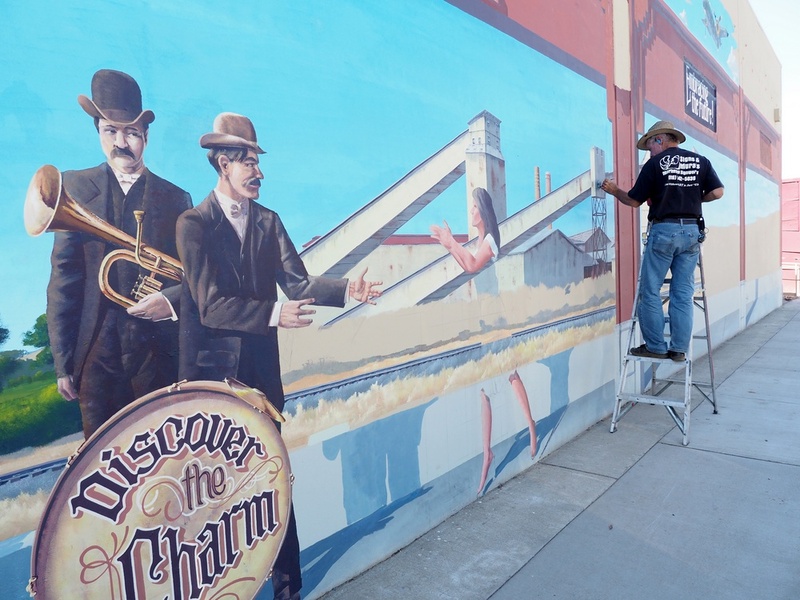 The Lincoln Blvd beautification project has been underway for several months. 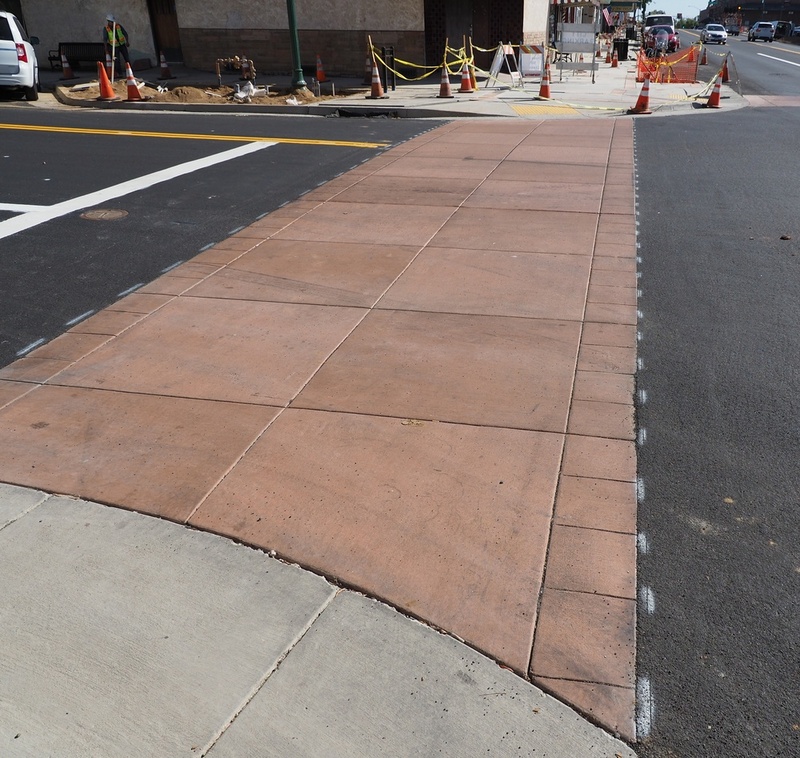 Streetscape improvements include new sidewalks, curbs, planters and benches. Construction has been extensive, and the completion date is nearing. 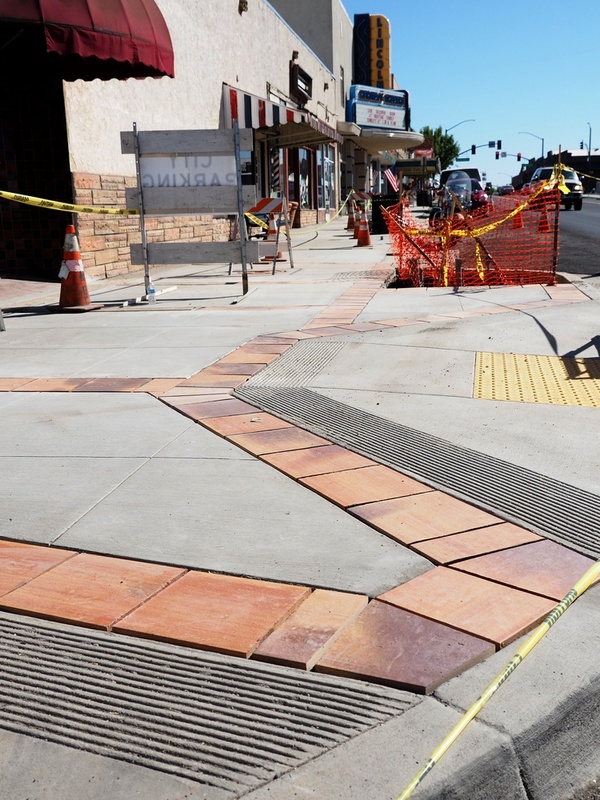 These photos show the current progress of the project: sidewalk tiles are being placed, new crosswalk equipment is operating and the mural project is taking shape. 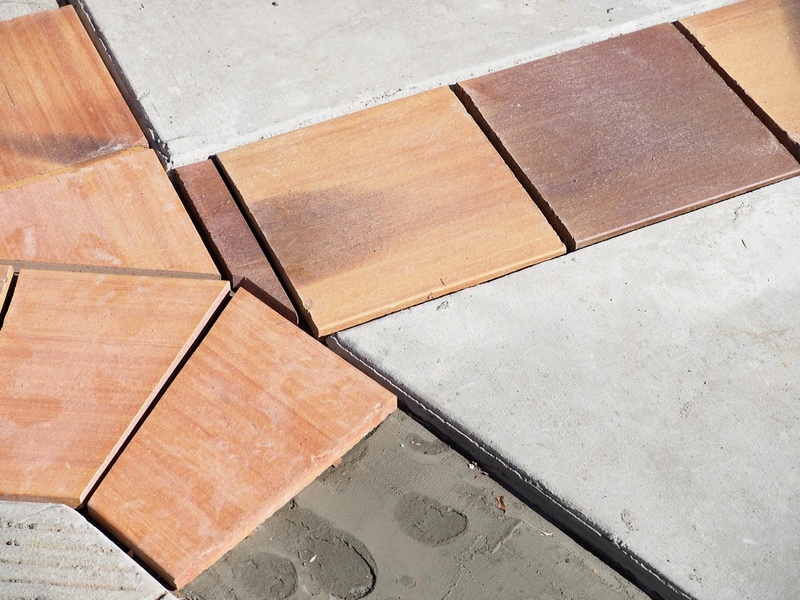 Tile placement has begun on the new sidewalks. 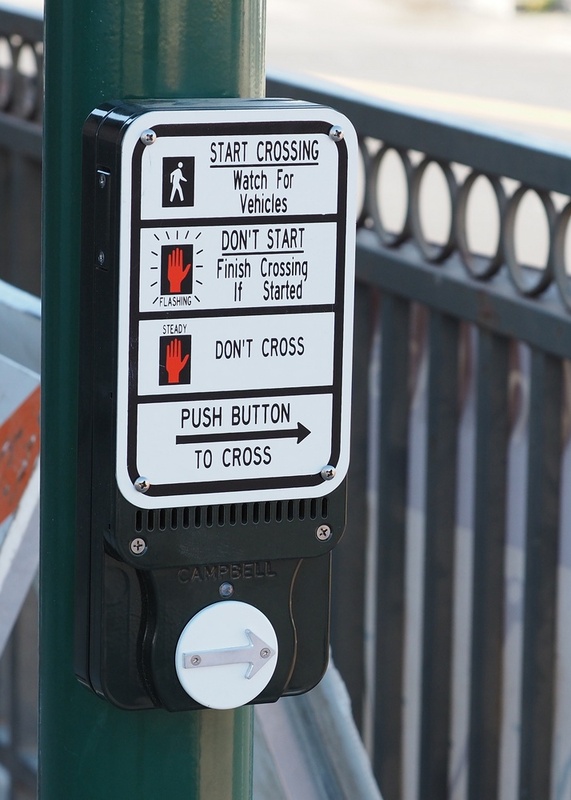 Crosswalk buttons include verbal cues. 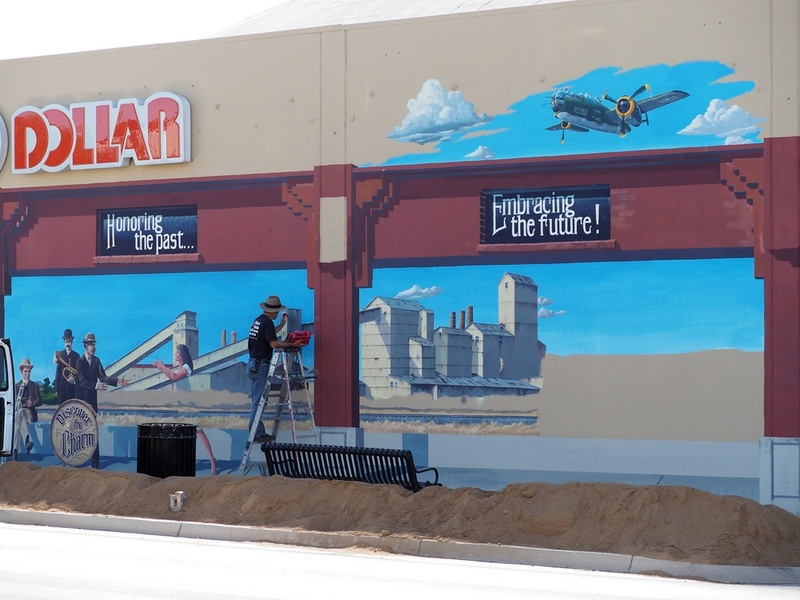 Ribbon cutting ceremonies are planned on Lincoln Blvd, between 4th and 7th Streets, for Saturday, October 17, 2015 from 10:00 a.m. to 2:00 p.m.